Russia: THE NEXT LUCA MAGNOTTA ? – Puppy Killer Posts Act on Social Media Site. A Russian teenager aged 20, Aleksey Milchakov, showed these photos on the popular in Russia social net. 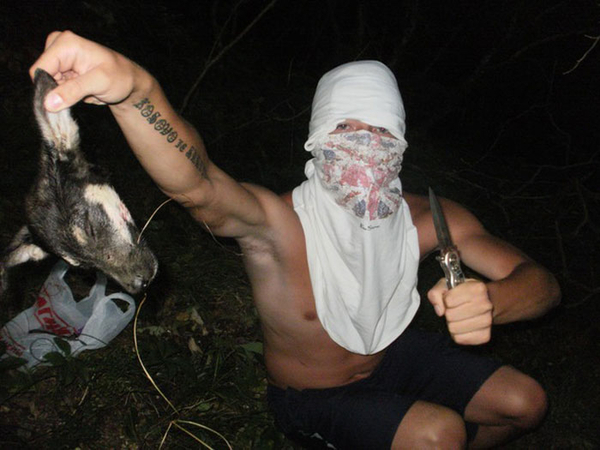 He had cruelly killed a poor puppy and then cut its head off and ate it.